From a small car park north of the road a field gate gives access to a pasture leading down to the Winford Brook. 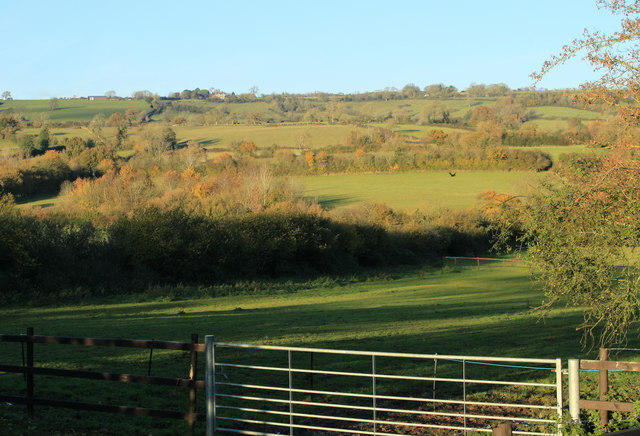 The slope on the other side rises to Dundry Hill which dominates the far side of the valley between here and Chew Magna. Winford Lane can be see to the left worming its way up the hill and over the top to Dundry.